Clearwell Castle is set within the stunning Gloucestershire Forest of Dean and provides the perfect fairytale setting for your Wedding day. A dedicated wedding venue, Clearwell castle is licensed for Civil ceremonies and the unique Ballroom has a 75ft aisle and leaded glass windows. Offering great natural light for wedding portraits. The Ballroom can also seat up to 160 people for the Wedding breakfast and the reception rooms and the vaulted cellar can easily accommodate 250 guests for evening dancing. Within the Castle and grounds there are 15 bedrooms which are reserved exclusively for you and your wedding guests. Clearwell Castle was the winner of Wedding Ideas Magazine ‘Best Wedding Venue’ 2010 and 2012. Similar wedding venues nearby: Eastnor castle, Berkeley Castle, Sudeley Castle. 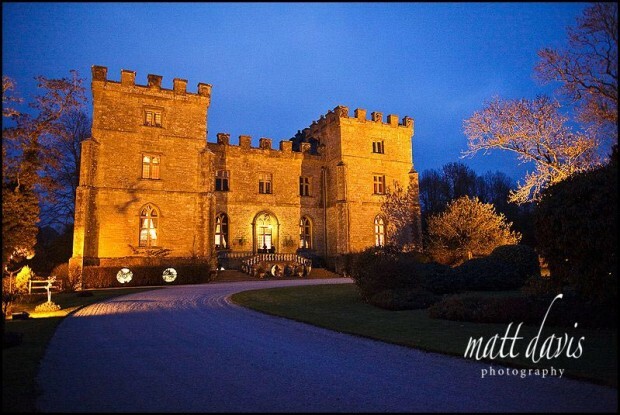 Clearwell Castle is officially top of the leader board when it comes to how many wedding they hold there each year. With well over 200 it’s clearly a wedding venue with something good to offer. I believe price is a key factor here, yet it does represent really good value for money. So if you’re after a fair tale castle wedding, then get booked in soon…..they have a long waiting list! Inside Clearwell Catsle has fantastic proportions….as you’d expect for a Castle. Rooms have high celing, gorgous details, and plenty of light (which us wedding photographers like). Ouside space is plentiful too, with many opportunities for great wedding photos. If you’re considering a Church wedding then look no further than St Peter’s Church in Clearwell, which is literally at the end of the Castle’s long driveway. However you can have a civil ceremony at Clearwell Castle and then spill out into the other rooms afterwards for your drinks reception. Practically Clearwell Castle is probably one of the best all round wedding venues in Gloucestershire. It works well for summer and winter weddings, there is ample space inside for guests, sufficient parking on site for guests, rooms for guests to stay over and you also have the facility of a Church nearby too. What more do you need? 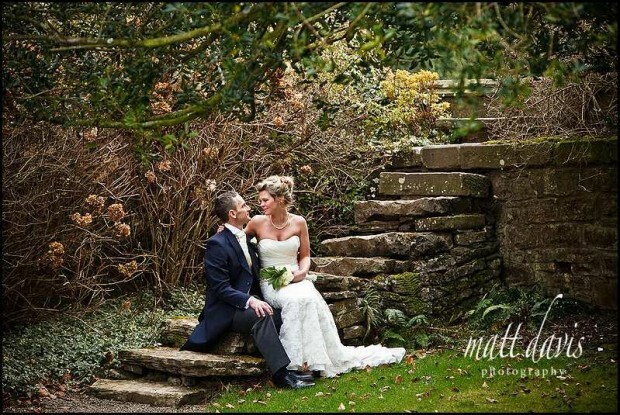 Have a look at these blog post from weddings I have photographed at Clearwell Castle. You may also like to read some wedding testimonials from previous clients. 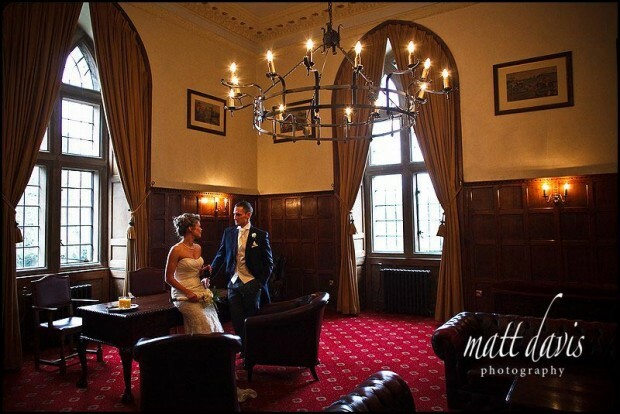 If you are considering a wedding at Clearwell Castle then contact me for a chat about your wedding photography needs.